If you think about Punjabi weddings, one of the first things that comes to mind is their rich and delicious food! Be it the paneer tikka or the tandoori chicken, you know that any Punjabi delicacy would make your mouth water just by thinking about them. Not to make you hungry already but let’s take a look at some of these dishes that are a must at any Punjabi wedding! This is a refreshing Punjabi drink made from blended yoghurt, spices and sometimes, fruit. You can have it sweet or salty. Soft, white butter is served on top of the glasses. It’s a popular Punjabi drink that fills you up in seconds! This is a variation of paneer tikka where chunks of paneer are marinated and cooked in a tandoori style along with spices and pickle flavours. You can refer to this as the queen of all dals. Made from black lentils, loads of butter and cream, it is found everywhere from roadside dhabas to weddings, dal makhani is popular across the country. This traditional Punjabi dish is a vegetable curry made from mustard leaves, spinach and spices. It can be topped with ghee or butter. Best eaten with makki di roti. It is essentially a Punjabi dish made from paneer in a thick green spinach gravy and flavoured with various spices. Originating from Rawalpindi, this is basically a classic Punjabi dish containing boiled chickpeas cooked in an assortment of spices. It is more or less a semi-dry dish. Another Punjabi staple, these are rotis (flatbread) made with whole wheat flour, gram flour and spices. Sometimes, methi (fenugreek) leaves are added for a healthier version. A famous Punjabi starter, this dish is involves chicken pieces cooked marinated in yoghurt and a number of select tandoori spices, and then grilled. It is spicy in nature and one of the few Punjabi dishes that are low-fat. This classic non-vegetarian dish is popular throughout the country. 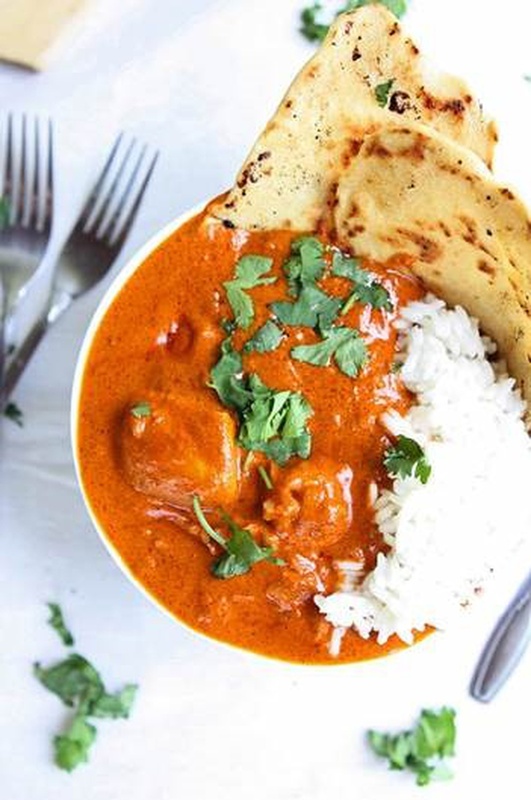 It is basically juicy chunks of chicken cooked in a creamy orange-red gravy that is sweet and mildly spicy at the same time. Best eaten with any form of roti. Crispy fried fish fillets that became famous in Amritsar. They are fish fingers that are coated in a spicy batter of gram flour and deep-fried. Crunchy on the outside, soft on the inside. They are eaten best by sprinkling chaat masala over them. An amazing dessert to treat your tastebuds to after dinner. Jalebi is deep-fried maida batter cooked in spirals and soaked in sugar syrup. Rabri is a sweet, condensed milk based dish into which sugar, spices and nuts are added for flavour. Jalebi is served hot while rabri is cold. Makes for a great balance! The Indian version of ice-cream! It’s creamy and milky but light as well, which makes it perfect to eat after a heavy Punjabi meal. You also have many flavours to choose from.